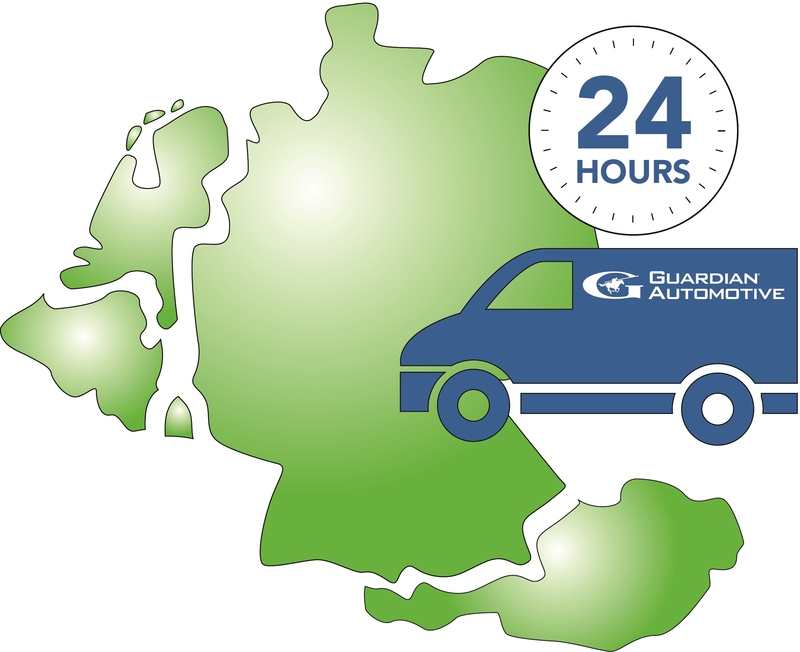 Guardian Automotive already successfully operates an overnight replacement windscreen delivery service in Germany, the Netherlands, Austria and Luxembourg. Beginning September 19, 2016, customers in Belgium will be able to order automotive replacement glass parts for overnight delivery. They will be able to choose from more than 220.000 premium quality parts for cars and trucks, including windscreens, back windows, side windows and accessories. These include windscreens as well as back- and sidelights for cars and trucks. Shipments will take just under 24 hours, starting at 1 piece per customer. Guardian Automotive is exhibiting in hall 6/level 2/stand A50 at Automechanika (13-17 September 2016) in Frankfurt, Germany. Guardian Automotive extends overnight replacement windscreen delivery service.